Yes, I realize these reviews are a bit less than weekly, but I don’t always have something newsworthy to share. 🙂 But today, I do. Two of Cynthia Ruchti’s books took top honors at the Selah Awards at the Blue Ridge Mountains Christian Writers Conference last week. 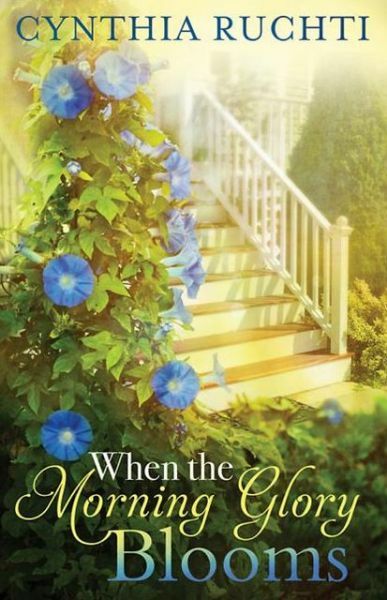 Her novel, When the Morning Glory Blooms, won a Selah Award for Contemporary Women’s Fiction. Her nonfiction, Ragged Hope: Surviving the Fallout of Other People’s Choices, won a Selah for Christian Living. Cynthia will also host a live webcast on Wednesday, June 11th at 8 pm EDT. Mark the date. Join the fun at www.facebook.com/CynthiaRuchtiReaderPage. Prizes include a $200 cash card, books, and more. My sweet friend, Jennifer Hallmark, had two special guests on her blog this week. Fay Lamb has more news to share. She’ll be teaching a workshop at the Southern Christian Writer’s Conference in Tuscaloosa, AL June 6 and June 7, and she’ll be there on behalf of Pelican Book Group to talk to authors interested in publishing with any of their imprints. 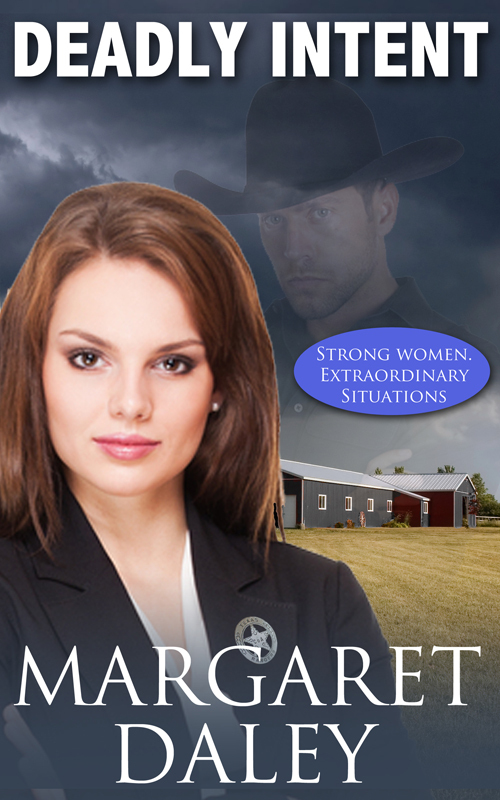 Margaret Daley has a new release in her Strong Women, Extraordinary Situations series. Yay! Texas Ranger Sarah Osborn thought she would never see her high school sweetheart, Ian O’Leary, again. But fifteen years later, Ian, an ex-FBI agent, has someone targeting him, and she’s assigned to the case. Can Sarah protect Ian and her heart? As an aside, I was going to answer Kristina’s questions as part of receiving the honor of the Liebster reward, but I just realized, I don’t qualify. Oops! Well, I’m pretty sure you all know all about me, anyway. 🙂 And of course, if there’s anything you don’t know that you’d like to, just ask! In other news, I’m working on my first nonfiction! I’m a bit intimidated, to say the least, for although I’ve written countless articles and blog posts, I’m learning writing a book is an entirely different matter. But I feel so strongly God is nudging me forward, I’m going to keep stepping. To help in that regard, I asked my sweet friend and longtime critique partner, Eileen Rife, to join me. I don’t want to share too much at this stage, but I can tell you, it’s a parenting book focused on helping parents raise their children in light of Ephesians 2:10 which says, “For we are God’s masterpiece. He has created us anew in Christ Jesus, so we can do the good things he planned for us long ago” (NLT). On a spiritual note, I had a bit of a rough couple days and felt I didn’t handle them well. This morning, God reminded me of the importance of maintaining my witness and my praise in all situations. 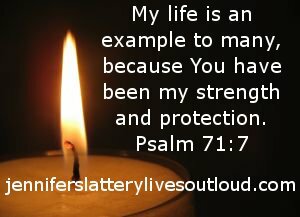 To that end, I’ve decided to meditate on Psalm 71 (There’s so much in that passage!) and memorize verse seven, praying that can be true of me. That’s what’s new in my corner. How about you? Any new books, articles, or blog posts you’ve discovered you just have to share? Any new challenges God’s nudging you toward? Thanks for the shout out, Jennifer! 🙂 Always love to highlight folks I find awesome. Jennifer, I think God continuously continues to nudge me with my daughter’s memoir. I haven’t received all the questionnaires back yet from my beta readers of her book, but I’ve received 7 so far. Six of the 7 really encouraged me to know that I’m following God’s direction for the book, yet I still have more room to grow with it. It has been one of the hardest things to do since losing my daughter because as I wrote this story it took me back to those 16 roller coaster days until we lost her. I think God is showing me he wants me to also add in there more of my actual journey after losing her. I will continue to pray for God’s guidance through this time. I’m really enjoying your blog. It’s been an encouragement to me. Wow, Kristena, I know God will really use that book and you to comfort and reveal the hope of eternity. Hugs, sweet friend!